← i was unconscious, literally. I’m feeling a lot better than last week. My body is still exhausted, but I’m up and about. I probably shouldn’t be working as hard as I am right now (there’s a lot going on with me besides the store), but I have this crazy passion to create. After a week of seeing everyone’s beautiful projects being posted from CHA, I felt an itch to cut up some paper. I guess I forgot that scrapbooking makes me sane. Bo Bunny had sent over some of the latest papers that were released at this past CHA, so I knew these papers were going to be perfect for those photos. I absolutely love all of the flowers on this page. Even though this paper is more on the “boyish” side, it’s pretty versatile. Or at least I think so. I love the soft grays to this paper; it’s super pretty! They recently debuted their Halloween and Christmas line, and I can’t wait until we get the shipment in at the store. On another note, we recently stumbled upon a new park nearby. It has become one of Maui and Hilo’s favorite places to be. …and now that I’ve blogged, I think I’m going to take it easy and rest some more. The more rest, the better. Maybe I’ll actually get to sleep before 10 PM. I don’t think I’ve done that since before high school, haha! PS: Again, thank you to all who called, texted, emailed, and messaged me last week. All of the get wells and positive vibes made me feel that much better. it’s exceptionally hard to go without for a week. 😉 and thanks! so glad you are feeling better. maybe i should bring buster with me when i come up and we can all frolic in the park! Glad you are feeling better. I am sure playing with paper helped. Love the layouts and each of those new papers. Glad you’re feeling better here too. 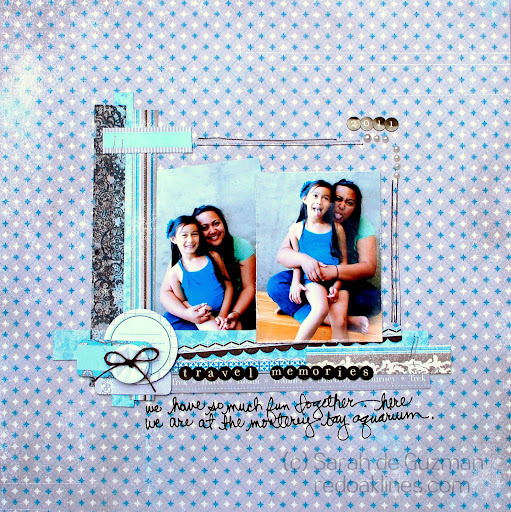 Love the scrapbooking. You do a great job. so glad to hear you are feeling better. take care of yourself and don’t over do it. your new projects are gorgeous. hugs….